Surf & Sun are a licensed surf school with Surfing Australia, operating award winning adventure based activities in South Australia. 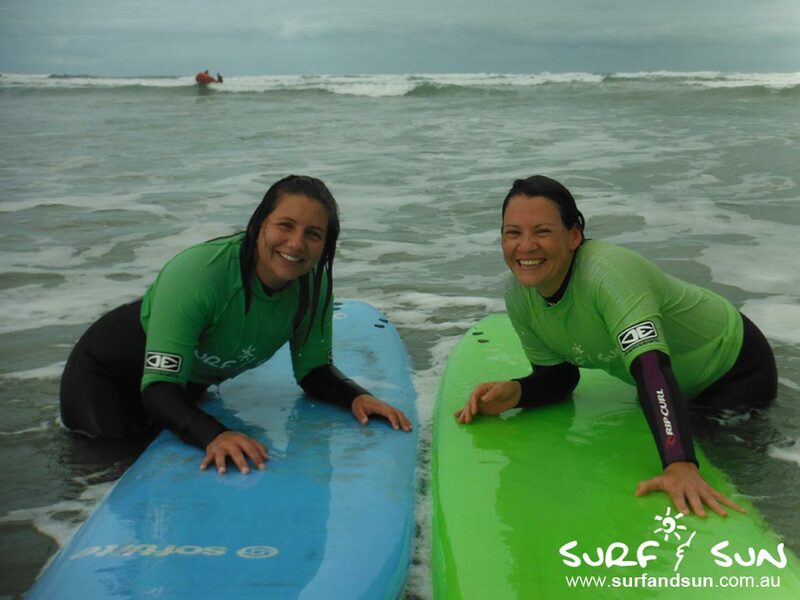 We specialise in learn to surf lessons, surf camps, surf hire, surf day tours and more. Our aim is to help make the world more fun, to promote healthy living and to enjoy the beach lifestyle. Surf & Sun are partnering with Better Movement Studio, Norwood to bring you a great Surf/Yoga Retreat on the beautiful Fleurieu Peninsula. Think energising yoga sessions, exciting surf lessons, relaxing massage, and energising drumming/kirtan/deep peace meditation activities. Arriving on the Fleurieu Peninsula on the Friday evening to check into your accommodation, you will be greeted by Carmel from Better Movement Studio, before staring your weekend with a yoga session followed by a delicious vegan evening meal. After dinner you will have time to relax for the evening and get to know the other participants. Saturday will consist of a pre breakfast yoga session, then after breakfast you will head off to hit the waves at Middleton Beach! After lunch you can partake in the optional massage and/or have some time to look around the shops and beach of Pt Elliot. The evening will begin with an African drumming activity, followed by dinner, before ending with a Kirtan/Deep Peace Meditation session. Sunday will once again start with an early morning yoga session, more optional massage time for those who have booked and/or free time, lunch, and an afternoon surf lesson before returning to your accommodation approx 3pm. To wind up the perfect weekend away, you will receive a gift bag full of vouchers and goodies as well as a sense of achievement and relaxation. Meals including dinner on day 1, breakfast, lunch and dinner on day 2, breakfast and lunch on day 3.